Modern medical science treats gallstones through surgery. In fact whole gall bladder is removed and with that go the stones. 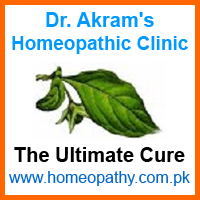 Other treatment systems including homeopathy and herbal systems try to expel them through use of medicines. Berberis Vulgaris is one of the homeopathic medicines used for the purpose. Some people are benefited by it while some are not – but why not? Let us see how it works. Berberis Vulgaris when used in Mother Tincture increases the production and flow of yellow bile. Fresh bile, which is hot, tries to dissolve the gallstones and push them out of the gall bladder with it. This is a very gradual and slow process. When used in drop doses of 5 to 10 drops per dose, Berberis Vulgaris proves much weaker than what is required. That is why it takes very long time in doing what is expected of it. Resultantly, many people leave it as poor treatment. In fact it is not the fault of Berberis Vulgaris alone. If foodstuff that slows down the production of yellow bile is used along side, the results of Berberis Vulgaris would be even poorer. Same goes for Carduus Marianus that is another medicine commonly used for gallstones. Increasing the number of drops per dose might not do the good unless the whole treatment plan is managed correctly. For the treatment to be effective, not only that you must stop taking the foodstuff that slows down the production of yellow bile but also add such items that work the opposite, that is to say, increase the flow of bile. Greater the production and flow of yellow bile, quicker would be the relief but be careful that just the production of yellow bile is not enough. It must also flow out proportionately. When so happens, there shall be a feeling of increase of general warmth in the body but it should not frighten you because when production and flow of yellow bile increases, it would create warmth in the body. Usually the patients of gallstones are chilly (affected by cold more than normal) and should feel happier when their body warms up. However, if you feel uncomfortable, consult your doctor for further advice.